A stylish departure from a traditional steakhouse, Bavette’s embraces French flair without the formality, blending fine dining with unabashed fun. 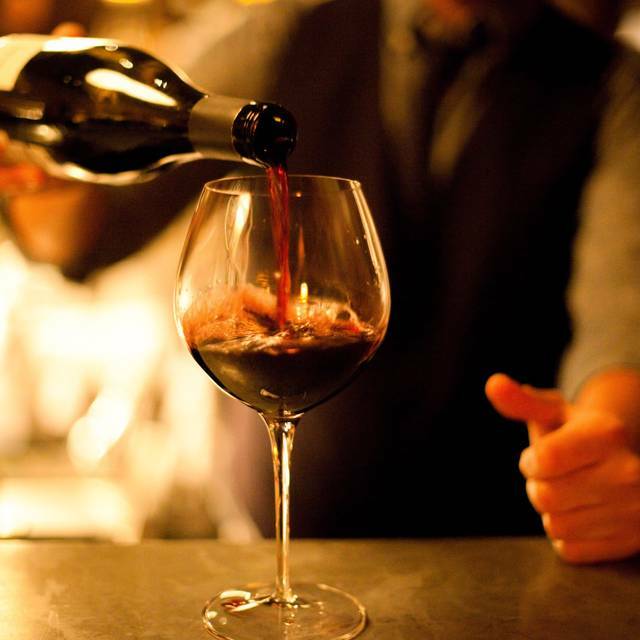 Guests can indulge in timeless steakhouse fare, classic cocktails, and a well-curated international wine list. 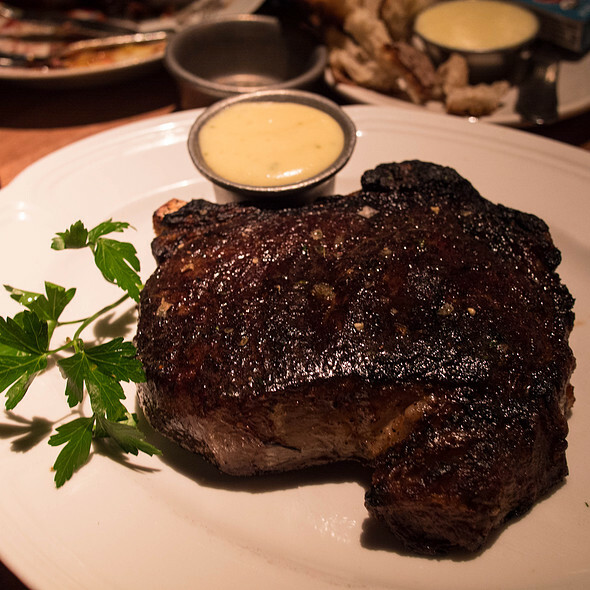 Order the bone in ribeye, it's the reason you came, it's amazing. Bavette’s is by far my favorite restaurant. We split oysters and shrimp which was very good. Smoked salmon Caesar salad which was fabulous. Oh....-and the warm bread with amazing crust was divine. Salmon dish slightly spiced was delicious. Loaded baked potato with diced bacon very tasty. Son in law had a steak that was very good and my daughter had chicken. Everything was delicious. Food lived up to the hype!!! But the plate that stole the show was the Brussel Sprouts!!! Never in my wildest dreams did I expect them to be this good! Highly recommend them!! Amazing steakhouse in Chicago! 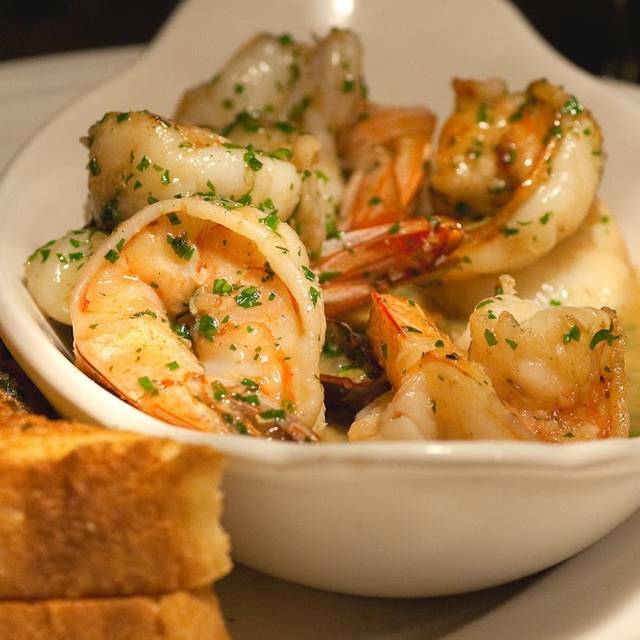 Great for a date night or birthday dinner! Service was excellent and food was outstanding! I had been looking forward to my reservations for months. It was a late night reservation due to availability. We ordered an appetizer that was forgotten about until we reminded our server. It was brought out moments before our entrée. This put a damper on a highly anticipated date night for my husband's birthday. The appetizer was later comped and service was good up until we had to flag down our server to get our dessert wrapped up to go. Food was good but the service will not have me returning. There are far better restaurants with top notch service for the price. Everything was great, service, food, ambiance. We had to book our reservation well in advance, but it lived up to the wait. Would recommend, and would go again. Ambiance and food were outstanding. Possibly the best steak dinner my wife and I have ever had. We both had the filet . 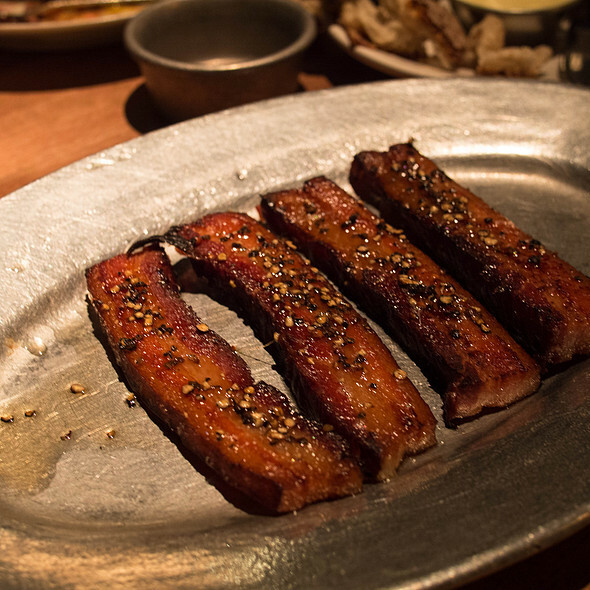 Cooked to perfection and melted in your mouth. We were celebrating my wife's birthday and I called ahead for reservations and table on the main floor. Great table but our server never mentioned the occasion to my wife. Would highly recommend for outstanding food, terrific surroundings and memorable night. Best steakhouse in the city. 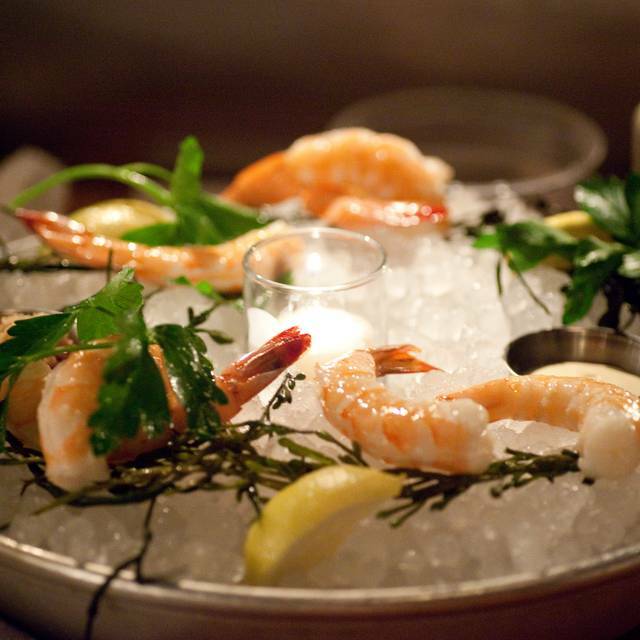 And the seafood is amazing as well. The filet mignon was cooked to perfection . The service from Klause was excellent. We highly recommend this romantic and fantastic place. Best steak in Chicago. Would definitely recommend to anyone! Our waiter Ben was great, we didn’t feel rushed. We sat downstairs in a booth and the music and atmosphere was nice . The bottle of wine we had paired beautifully with our steak . Very enjoyable place to visit, the burger is a must! One of the best steaks in Chicago! 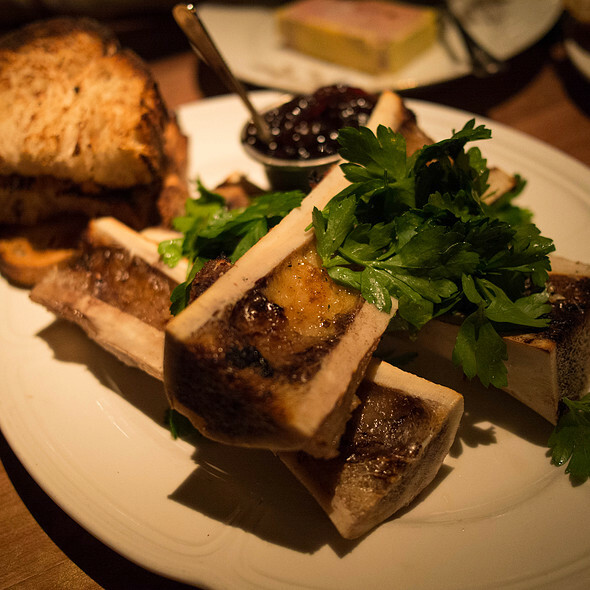 Try bone marrow and ribeye, they are the must. Steak had to be sent back twice and on the third time it was overcooked and tasted terrible. Huge disappointment but the waiter was very good and they were nice enough to remove my steak from the bill. Sides and apps were delicious. Very very dark restaurant. I try and get to Bavettes as often as possible - amazing place. Had difficulty with my prior visit as I had an 8:00 PM reservation (Downstairs - Parlor) and they seated me at 9:20 PM so I was very upset. This reservation would be my last if that happened again but they were perfect in everyway on this visit. We sat downstairs (preferred space), waiter was awesome and the food is always the star here. Bavette's has the best atmosphere in the city - we will be back! Very good food, but not exceptional within this price range. Terrific, friendly and timely service. Good wine selection at reasonable prices. Background music is too loud and interferes with conversation. Food was good and service was very friendly but timing of food delivery was uneven. We ordered three steaks, all medium...one came out medium, another medium-well and a third well-done. All top quality beef but not as ordered. Sides large and good. We had a booth, which was great. The food was great and we enjoyed the atmosphere and music! Took me several months to get a reservation but it was worth it. My wife and I went with my brother and his wife. For appetizers we ordered the steak tartare, shrimp cocktail and half dozen oysters. All were great. For steaks the bone in ribeye and the petite fillet. They were cooked perfectly with great flavor. 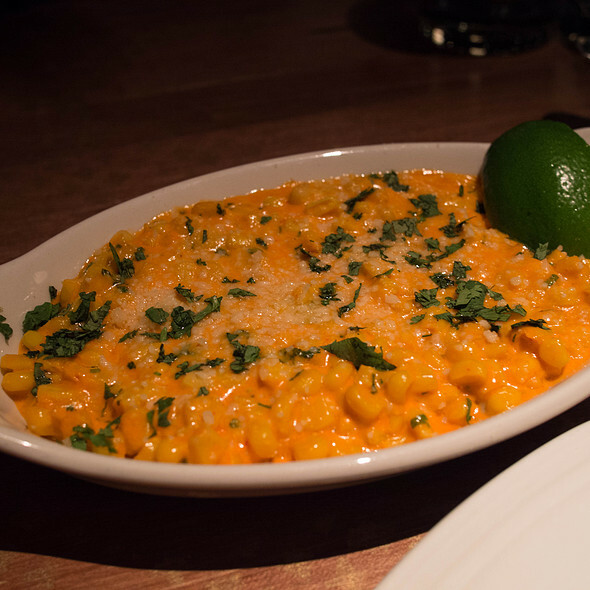 For sides, the sweet potatoes, crab stuffed avocado salad, truffle mac and cheese and elote style corn. For me the elote style corn was the best but all were good. As for the wine, I highly recommend the Colombo Apertura Pinot Noir. One of the best wines I have had in a long time. No dessert unfortunately but if you see the amount of food we ordered you will understand why we passed. The ambiance of the place was also very cool. The music was great and the noise level was a little high but sitting in the booth we didn't have much difficulty hearing. There is a great bar area both upstairs and down. Only complaint is the restroom situation. They are single restrooms and there was at least one to two waiting in line. Not a big deal. Overall an excellent meal and great scene. Would love to go back so I better get to work trying to secure another reservation. People did walk in without a reservation and I overheard them being told hour thirty to an hour forty-five. Not that unusual for a high-end restaurant downtown but I prefer a reservation. It was fabulous !!!! We love Bavettes ...It is our most favorite restaurant ever !! Well executed food but the service left quite a bit to be desired. Amazing service and food was outstanding. Went to Bavette's for a date night and the food was really good! Only disappointment was the length of time we were there. We ended up being there for 3.5 hours due to the wait time on our steaks. Also, I ordered a bone-in filet cooked medium+ and it was pretty well-done except close to the bone. Still very flavorful though! We were there for my boyfriends surprise 30th! The staff went above and beyond to make this special surprise perfect! The first time I came to Bavette's we only had appetizers and side dishes--and it was amazing. I wanted to come back and get to experience one of the best steaks in Chicago. 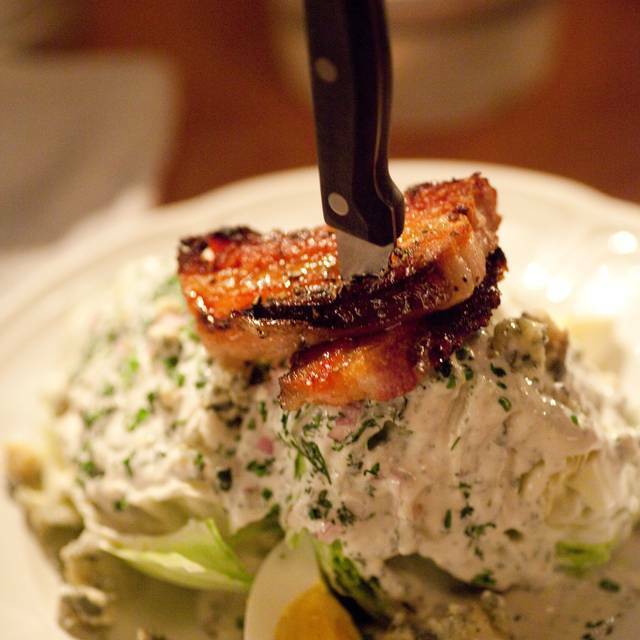 It definitely lived up to the hype and as always, the sides (specifically the wedge salad with their famous bacon and the garlic mashed potatoes) were fantastic as well. The ambiance makes you feel like you've stepped into a classic Chicago speakeasy, especially in the basement and the service was on point. Great spot to celebrate a special occasion. Bavettes came highly recommended. First of all, it is quite dark in the dining room. The rest rooms are old and small. The bar area has a rather nice ambiance. There is an additional dining room in the "dungeon" which provides less noise and more privacy. The food is pricey and I would suffice it to say that you do not necessarily get your money's worth. The portions are relatively small. The filet mignon and lamb chops were average. However, the crab was excellent! The service is attentive. 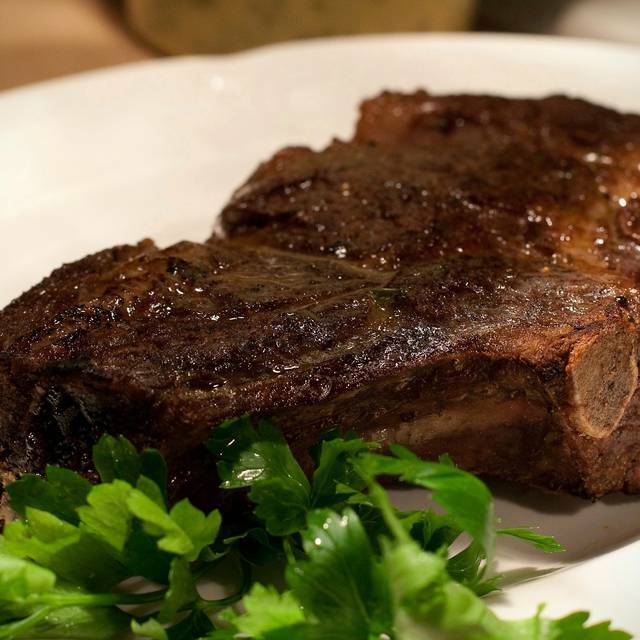 I think there are many other superior options for steaks, chops and seafood in the area. We will not be returning to Bavettes anytime soon. Loved the food! Came out very fast. Service was amazing. Food was hot and seasoned just right. Will be back! My wife and I had an excellent time. The ambiance was amazing! The music playing was sultry and seductive. The food was great!!!! The service was outstanding!!!! I would recommend this restaurant to anyone!!! Perfect date night restaurant!! !